Time for Karting in Moires . 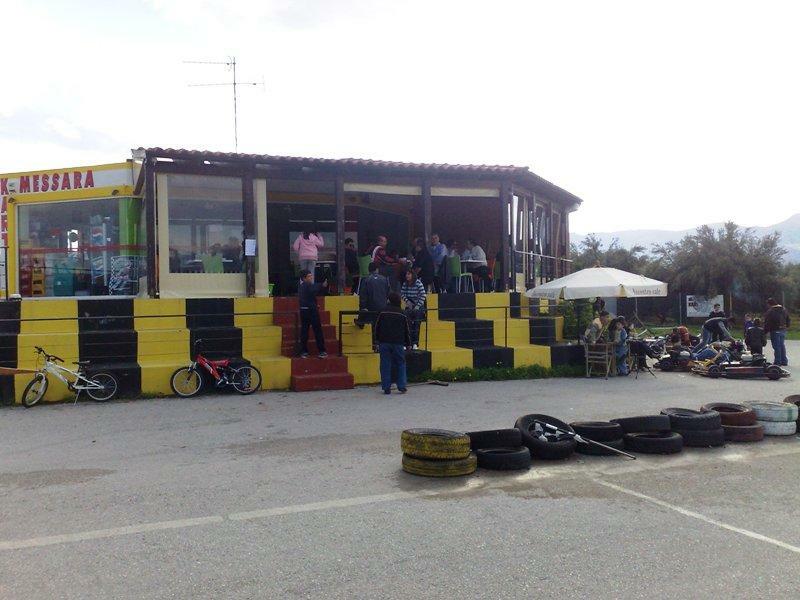 10km from Kalamaki before the entrance of Moires on your left site you can find in a green all over environment, a specially shaped area of 8.500m for Kart – driving or watching. Enjoy coffee, ice-cream or drinks. Very near to Kart , only 5min by foot , is a tennis and 5X5 football court. Levin Scuba Base in Tsigounas village next to lentas. 25 km from from Kalamaki . Discover scuba diving for every body. For children 10 years and older. Water temperature about 20 to 28 C , under water visibility 20-35m , under water landscape : reef walls , holes , caves , rocks , canyons…. Sea life: small fishes , sponges , anemones , plants.